The bill cleared the Senate on Monday. Republican President Donald Trump plans to sign it, based on a statement released Wednesday. The reauthorization ought to be a win for the skilled trades, and might help pump out more technicians to fill the collision industry’s shortage. 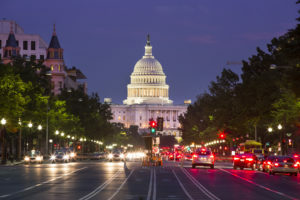 The bill, which takes effect July 1, 2019, includes more than $1.2 billion in spending per year starting with the 2019 fiscal year and increases it to more than $1.3 billion by FY 2024. That’s a change from existing law calling for “such sums as necessary,” according to a joint Monday letter to lawmakers from the Association for Career and Technical Education and Advance CTE — two key vo-tech education groups. Senate Education Committee Chairman Sen. Lamar Alexander, R-Tenn., said in a statement the measure took power away from the Department of Education. Education Secretary Betsy DeVos seemed OK with that change, issuing a statement praising the bill. Wilson and Green said their groups didn’t have a problem with the requirement to negotiate with the Department of Education. ACTE and Advance CTE on Wednesday expressed a vision for the bill’s implementation across the country.